Landscape and general outdoor photographers usually worry about one thing when it comes to their wide-angle lenses: Sharpness. As the saying goes, “F/8 and be there.” In other words, just do whatever you gotta do to get sharp, well exposed images and spend the rest of your energy on simply getting to the right place at the right time. Note that I said “sharpness” in particular, and did not mention the numerous other aspects of image quality. Overall lens quality is important, yes, and so is general reliability, weather-proof construction, etc. Landscape and outdoor photographers should always consider a lens’ performance in it’s entirety, not just sharpness alone. Of course, I am only referring to DSLR cameras and lenses, which the title of this article mentions. There are many landscape photographers out there who shoot on large format view cameras, or medium format digital / film cameras. However these cameras fall into an entirely different category of equipment, and this guide is only meant to be a comprehensive guide to DSLR / SLR lenses. Either way, choosing a wide-angle lens for landscape, nature, or general outdoor photography is one of the most difficult purchases any landscape photographer will ever make! This guide is meant to be a continually updated collection of our best recommendations. We approach each lens not from the standpoint of it’s measurements in a lab, but its true performance in the real world, as well as its practical usefulness and overall value compared to alternatives. We will continually update this guide, and feel free to comment with your own input and/or recommendations! The notion that primes are always sharper than zooms has become outdated. Computer-aided lens design technology has revolutionized lens sharpness across the board, and nowadays the bottom line is that zoom lenses are more popular with the masses and therefore more technology is invested in delivering flawless sharpness with zooms. The last few years have been especially good for pro-grade zoom lenses such as the Nikon 14-24 and the Canon 24-70 mk2. Both of these lenses are far sharper than almost every prime in their same focal range. But their price tag shows it! Therefore, your choice between primes and zooms has much more to do with preference and your specific shooting needs, than sharpness alone. Of course price is always a consideration, and in general an f/2.8 or f/4 prime is going to be more affordable than an f/2.8 or f/4 zoom. Size and weight are also big considerations, and for some photographers they may be more important than price. Last but not least, fast f/1.2 or f/1.4 primes will always give more shallow depth of field (DOF) than an f/2.8 or f/4 zoom. Bottom line- don’t just buy a specific lens because it is a champion on paper, or because it is on sale. Buy the right lens for your particular style of shooting! The notion that full-frame lenses are always far superior to crop-sensor lenses is almost as out-dated as the prime-versus-zoom debate. True, when crop-sensor DSLRs first hit the market there were only a couple lenses out there. (The first two being the Nikon 12-24 DX and the Canon 10-22 EF-S.) However in recent years more and more ultra-wide lenses (mostly zooms) have become available for crop-sensor users, offering advantages in size, weight, and affordability. Once again even if price isn’t a concern, if you’re into hiking or backpacking or general travel photography then you should consider your decision to be a preference, not a compromise or a stepping-stone. Having said that, the more specialized lenses are indeed mostly available for full-frame cameras only. There is basically no equivalent to the venerable 24mm f/1.4 lenses which are awesome for star photography, nor is there an equivalent to the Canon 17mm TS-E or the assortment of 24mm tilt-shift lenses out there. If you want 14mm f/2.8, your only option is (once again) full-frame. The innumerable crop-sensor zooms available can certainly cover these focal ranges, mind you; just not always at the same fast apertures, or with the specialized capabilities like a tilt-shift feature. So if your interests are more specialized than general outdoor photography, you might want to consider the investment in full-frame. This zoom simply can’t be beat. It even out-shines all of the 14mm primes on the market, including Nikon and Canon’s own versions. Some photographers refer to this lens as “Nikon witchcraft” because the image quality is so unbelievable. Having said that, this beast is not without its drawbacks. With less zoom range yet a higher price than most other ultra-wide zooms, plus a massive unfiltered front element that just begs to be scratched, this is definitely much more of a specialty lens compared to the “modest” 16-35 and 17-40 range zooms that offer more practical focal ranges, and accept filters for those extra-dangerous missions at the dusty racetrack or misty beach. Bottom line- You really have to be in love with the “look” of 14-16mm images, and obsessed with corner sharpness, …otherwise any other lens becomes a more practical choice. As a bonus, the Nikon 14-24mm has some of the lowest Coma that we have ever seen in an ultra-wide lens, which is a very important thing for astro-photographers who wish to shoot photos or timelapses of stars in the sky. Most nature photographers don’t really need f/2.8 at ultra-wide apertures; that’s more of a photojournalism or astro-photography thing. If you’re just a general nature / outdoor / landscape photographer who spends all their time at f/8-f/16, a recent generation f/4 ultra-wide zoom is your best bet. The Nikon 16-35mm f/4 VR is a little pricey, but it’s image quality is downright incredible. The Canon 17-40mm f/4 L is a little bit older than the Nikon, but it’s image quality, price and weight definitely make it a better choice for most than the expensive 16-35 f/2.8 mk2 that is only minimally sharper. There are oodles of third-party ultra-wide lenses out there, and the 17-35mm focal range is very common. However Tokina has separated themselves from the pack over the past few years with a reputation for incredible quality ultra-wide lenses, ever since they made the 12-24mm f/4 DX that rivaled Nikon’s own version. The Tokina 17-35mm f/4 delivers incredible image quality on an incredible budget. All three of these lenses (Rokinon 14mm f/2.8, Samyang 14mm f/2.8, Bower 14mm f/2.8) are pretty much the same design from the same factory, and all three are equally sharp if you get a good copy. They’re not flawless wide open at f/2.8, however at stopped-down apertures this 14mm prime can actually compete well with the legendary Nikon 14-24! Nature photographers, especially landscape and nightscape photographers, rarely need autofocus. Therefore this 24mm f/1.4 prime (again, basically identical across the three brands: Rokinon 24mm f/1.4, Samyang 24mm f/1.4, Bower 24mm f/1.4) is a much better value than the name-brand versions which cost over $1,000 more yet don’t offer a significant increase in sharpness or overall optical performance. Sigma’s 12-24mm lenses (there are two of them) hold the record as the widest non-fisheye lenses ever made for the 35mm format. The newer version of this lens is slightly improved over the previous one, however neither version is flawless and you should really only consider them if the 14-16mm range just isn’t wide enough for you. Rokinon’s 24mm TS is our best value; it delivers great sharpness that is almost on par with both of the name-brand lenses yet at just $999 it costs about $1,000 less than either of the name-brand versions. Fisheye lenses are one of the most specialized and unique lenses in any outdoor photographer’s camera bag. Therefore, fisheye lenses are really only worth investing in to the extent that you will use them. In other words, if you only use it every now and then, just buy any third-party fisheye lens and you will be happy with it. The only time you should need to invest in the name-brand version is if you consider it a more essential part of your style. Although they are getting a little old, both of these lenses are still solid quality. However because of the amazing f/4 alternatives (and others) out there, we feel that traditional landscape photographers might want to think twice before investing in these older, heavier lenses unless they absolutely need the f/2.8 aperture. Definitely avoid the older Canon 16-35, (mk1) and the Canon17-35, and 20-35; these lenses are decent but just don’t match up to the value of newer third-party lenses if you’re on a budget. The older Nikon 20-35mm is a decent lens however, but again if you’re on a budget you should first consider newer third party lenses. You might think that sticking with name-brand lenses is a better idea, however keep in mind that if a name-brand lens has been discontinued for many years then it might not be serviceable! Especially when purchasing older lenses, and especially the Canon 16-35 series (either one) …be on the lookout for de-centered elements that can cause the right and/or left edges of the image to have terrible field curvature. Speaking of alternatives to the above two lenses, here is an amazing one that doesn’t compromise on aperture. If you do require f/2.8 for your type of landscape photography, This relatively new Tokina offers equal or better sharpness wide-open at 16mm than either the Nikon 17-35 2.8 or the Canon 16-35 2.8 L.
In the other direction, if you don’t need f/2.8 but you value sharpness and portability above all else, this recent Nikon full-frame ultra-wide delivers the same incredible sharpness that is found on the pro-grade 14-24 2.8 and 16-35 f/4 VR, but without nearly the same price tag or the extra heft. In short, don’t count this lens out simply because it has a variable aperture; its sharpness at small apertures is superb. This relatively unknown lens holds a pretty important record: It is the widest prime available for full-frame DSLRs that still accepts front filters. (with autofocus) Wider lenses such as 14mm and 15mm primes and other super-ultra-wide zooms all have permanent petal-shaped hoods and are far larger and heavier. So if you are looking for the lightest, smallest ultra-wide lens on the market, (that still has autofocus) …then this is your lens! It delivers good image quality wide open, and great image quality stopped down. If you’re looking for something even smaller and lighter (and even cheaper!) than the Tokina 17mm f/3.5 ATX Pro AF, here is one of the best-kept secrets among lightweight full-frame landscape photographers on a budget! The Tokina and Tamron 17mm f/3.5 lenses both deliver good image quality in a tiny package. They are hard to find, but usually sell for just $150-$250! Don’t expect them to be sharp until you stop down a few stops, though. These lenses are really great for f/8-f/16 shooting, so they’re strictly “traditional landscape” photography lens. But if you’re looking to pack light without compromising that rugged all-metal build quality, here you go! The Tamron 17mm lens, which comes in 2-3 different versions, has the added benefit of being “adapt-all” which means that the difference between Nikon and Canon versions is not in the lens itself, but a $15-20 adapter. Moderately priced, these two little-known gems are awesome performers if you have a few extra bucks to spend compared to the aforementioned 3rd-party lenses yet you still want the incredibly compact & lightweight portability of a small prime. Both can be found for around $300-$500 in good condition. What about the autofocus, f/2.8 versions of these lenses, you might ask? The main reason we aren’t recommending the ordinary 18mm & 20mm AF primes is simply because they’re actually almost as old as these manual focus lenses anyways, and yet because they have autofocus and are f/2.8 they cost more yet are less ruggedly constructed. These two older f/4 AIS lenses are small, sharp-as-heck, conservatively priced, and built like rocks without weighing a ton. So if you’re on a budget, either get a third-party ultra-wide zoom or get one of these older manual focus primes. These two ultra-wide crop-sensor lenses give their full-frame equivalents quite a run for their money. Both exhibit fantastic sharpness wide open and totally perfect sharpness when stopped down, even in the extreme corners if you get a good copy. These two lenses are essentially the #1 reason why a lightweight adventure photographer (such as a hiker / backpacker etc.) would choose a crop-sensor system instead of a full-frame system- They deliver incredible image quality in a portable package that full-frame just can’t compete with. As an added bonus, the Nikon 12-24mm performs quite well at 18-24mm on full-frame cameras with minimal corner softness and vignetting when stopped down. If you’re an adventure / travel photographer then size and weight are very important considerations, and affordability is always a bonus. Canon shooters should just buy the Canon 10-22 if they can afford it, but Nikon shooters should strongly consider either of these two lenses because the Nikon 12-24 is considerably more pricey with minimal sharpness improvements. Note that the Sigma 10-20 has two different versions, one variable-aperture f/4-5.6 version and one constant f/3.5 version. Mosts reviews confirm that the older variable aperture version is sharper when stopped down, but the f/3.5 version is sharper wide open. This lens is in a class of it’s own, partly because there is no comparable lens available for traditional crop-sensor bodies, but also because its performance is absolutely stunning. No other lens in the 16mm range comes close to the resolving power that this lens delivers, with incredible amounts of detail even wide open at f/2, right up to within a few pixels of the extreme corners. In short, if you have a crop sensor system but wish you had something fast and wide for star trails and night timelapse photography, you might not have to upgrade to full-frame after all; this lens holds its ground against any equivalent 24mm fast prime on FF /FX bodies. Once again, Sigma creates its own category with this lens. Equal to the 12-24mm field on full-frame when used on most APS-C crop sensors, it shares the title as the widest non-fisheye lens ever made. So if 10-12mm just isn’t wide enough for you, (maybe you shoot a lot of interior architecture photography?) 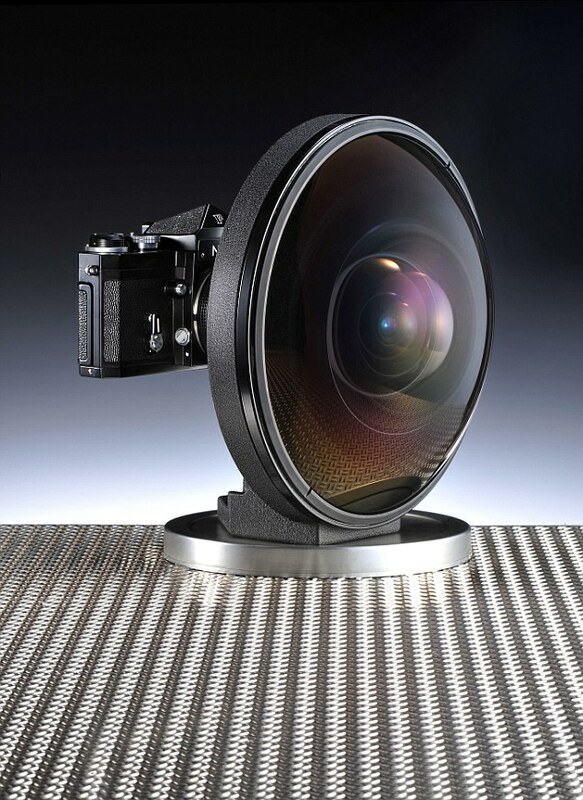 …then this is the lens for you. Be careful that you don’t get a copy of the lens that has de-centering issues; this lens can have incredible sharpness but if you get a bad copy then the right-hand side of the image can have a severely warped plane of focus. Once again the selection available for crop-sensors is not as diverse as for full-frame, but that doesn’t mean there aren’t some great options out there with fantastic image quality. The same ultra-wide lenses that work great on full-frame are also fantastic options for crop-sensor cameras, if you’re interested in the focal range that the crop factor equates to. While a 10-20 or 12-24 zoom is probably much more practical for general shooting, there is still something to be said for the portability, quality, and simplicity of a prime lens. The Tokina 17mm f/3.5 ATX Pro, (with autofocus) and the other Tokina and Tamron 17mm f/3.5 primes, all make great sub-$400 lenses if you are on a budget. They are especially fun to use on Nikon advanced and flagship DSLRs, because no adapters or microchips are required for metering, focus confirmation, and aperture control with complete EXIF information. Of course we should mention that in this range, you might be better off just buying a crop-sensor zoom that starts in the 15mm-18mm range and offers good image quality, such as the widely recognized Nikon 16-85 DX which has incredible sharpness at 16mm. The most important thing is to develop your own set of real-world standards by which you can measure the performance and usability of your lenses. There are many small details that we simply aren’t able to mention here, such as autofocus performance, manual focus switches, filter threads, etc. In general however, rest assured that the lenses we’re recommending are highly usable for landscape photography. If your needs are more diverse, take that into consideration. Many lenses perform incredibly when stopped down, and that might be all that matters to an outdoor photographer. You’ll notice that throughout this article we may have stated here and there, “if you get a good copy”. Certain lenses may be prone to poor quality control, or a specific defect that can affect image quality, however there is still a good chance that “if you get a good copy” of the lens you will receive incredible performance. Always be sure to thoroughly test your lenses as soon as you purchase them, whether you buy brand new or well-used. I like the two-lens setup, because it allows me to cover a considerable zoom range while still achieving a fast aperture when I need it. I have always felt that f/2.8 zooms, at least for general landscape photography, are a bit of an oddball. If I need a fast lens for pictures of stars, often times f/2.8 isn’t even enough; I’d rather go straight to f/1.4 or f/2 when I need it, and spend the rest of my time stopped down to f/11 or so on a smaller, lighter zoom. Of course, your own preferences and needs will vary! I saw your review on the Tokina 11-20mm f/2.8 at-f lens – thank you. So, I’m about to purchase one for my nikon d5200. I’m new to photography but I chase storms in the Midwest. I’m reading not to use filters on a wide angle lens. Do you recommend any nd (variable)?) and polarized filters to use with this lens? Or any other filters? Thanks so much for your help. The appearance of Canon’s 16-35 f/4L IS changes everything. It is sharper right into the corners, has more resolution and less vignetting than anything preceding it. The only way some of the competitors outperform it is with a wider aperture, but the new zoom has Canon’s latest IS and most of the time that is more useful than a big aperture … at least on a wide angle lens. would like to know what your thoughts are on the canon 16-35 f/4 IS. If they recommended Canon 17-40 f4 then no question about 16-35 f4. Would be nice to see comment for Canon 16-35 f4 vs Zeiss 21 though. I just upgraded my lens to the Tokina 11-16mm f/2.8 and I am loving it especially using it at 11mm open wide as my close up shots. This is the first lens I bout for my first camera the Canon 70D. In your opinion is it better investing in Zoom lens first then primes, as I like the close up shots. I have the Tokina 17mm Atx Pro I love it, I am a wedding Photographer and have the Nikon 28-70f2.8 Af-s The 80-200 f2.8 but have always wanted wider for small rooms or the real estate photography that i have begun doing. I used the Tokina 11-16mm on my 7D and absolutely loved it. But to say it works well on full frame is a lie. On the new 5d MKiii it isn’t too bad, just a little bit of blur around the edges at 16mm, but enough to make me sell it. On the 6d it is completely unusable though, the blur is out of control. “This relatively new Tokina offers equal or better sharpness wide-open at 16mm than either the Nikon 17-35 2.8 or the Canon 16-35 2.8 L.” Well… I hope it does better at 16mm than the Nikon 17-35mm :P Just kidding of course! I think it should be clear that “wide angle” is 35mm or wider on a ff equiv, and “ultra wide angle” is 24mm or wider. This guide seems more aimed towards the “ultra wide angle” segment. As probably out of the bunch the 24-70mm would be the “sharpest” but is more of a standard and “wide” zoom instead of “ultra wide” like the Nikon 14-24mm. While comparing ultra wide lens it would be nice to note the frontal elemental if its protruding or not (like Nikon 14-24, Canon 17mm ts-e and not on the Zeiss 15mm) as this could be a bigger determining factor for some that wish to use filters for landscape over the small marginal weight savings that seems to me so insignificant I think for backpacking/hiking/trekking when you are carrying additional weight in carrying around a tripod to mount it on). On a note it would be nice to show the practical uses of a faster ultra-wide lens that is 2.8 or 1.4 that could be used for astro/night photography (even with all the improvements in high iso noise). On the flipside the Nikon 14-24mm and 17mm ts-e have options of attaching filters still with the Lee/Cokin SW150 or a DIY lee/cokin holder for the 17mm ts-e. It was a good point you mentioned on image quality and most can be fixed in post, however I think for most ultra wide angles decisions on image quality it comes down to how the lens performs in corner sharpness (where most 3rd party lens are weaker in). For that I think an example could be that the Zeiss 15mm suffers from this or the canon 17-40/16-35II to like the 17mm ts-e or 24mm ts-e II. It would be nice to compare the guides split between Nikon and Canon offerings even though there are possible workarounds for the 14-24 Nikon to be mounted on a Canon. Damn, just saw that you didn’t forget them! I personally disagree and think that for other uses the 20mm is the far superior choice given it’s AF and the extra 2/3rd of a stop. You recommended the 20mm primes, but forgot the Nikon 20mm F2.8 AF-D, it’s an absolutely classic lens which can be picked up second hand for about $350, is amazingly sharp, very small and lightweight and accepts filters too. Not sure about the comment referring to the Canon 16-35 f2.8 mk1. I have one and I have had a 17-40 f4. Both were and in the case of the 16-35 still are. The optics are great and to have something that feels weighty and solid is satisfying. I appreciate that you don’t need f2.8 if your shooting landscapes, but I use mine for a wide variety of shoots both indoor and out and frequently use it at 2.8. Also, I recently it had it serviced as it had had a knock (or something) and had zero problems in getting this sorted. As long as you use a good service agent then they should be able to source the parts that are needed. I can’t see me changing it any time soon as I don’t really need to.